She is an ordinary girl. The first time I noticed her was the time she had a name tag on her chest with the inscription “Matthew” and the shock bearing in my eyes displayed if I was wondering if she had misspelt her name or if she had too much love for her “future” Nigerian boyfriend. “Yes, my name is Matthew”, she smiles clearing any doubts over her name. Commonly known as a male name, it’s to our joy that we discover its unisex from this beautiful songbird. “Big God” was playing in a colleague’s phone when I couldn’t help but ask about the song. Big God is the second song Matthew K released after “Smile” which she released in April this year. At the first encounter, you will deny the songs sound like Matthew K, yet truly she is the voice behind them. She has released two songs so far. Big God has the sounds of Chidinma, “and you will surely hear some Yemi Alade in there; the Christian one,” she jokes. Deeper into the song, you will hear a Seyi Shay, with some Jangilova beats. She is a petite girl accommodating all these big voices. It’s beautiful to hear her sing. 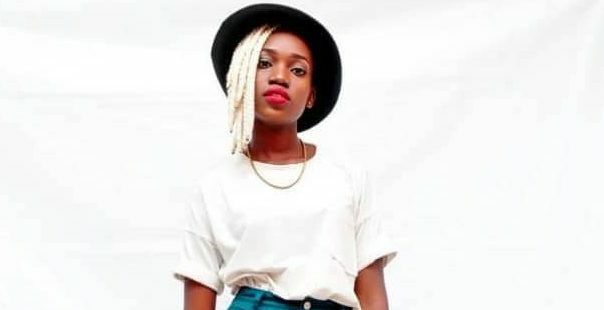 “Some people say I sound like the Christian Yemi Alade, then others say Irene Ntale in my first song Smile, others Daisy Ejang” she confirms my suspicions. She has all those voices inside of her. Kwagala Matthew Esther is also known as Matthew K, her stage name. She is a second-year student of Bachelor of Entrepreneurship and Business Management at Makerere University Business School. She does gospel music. “The music I do is more like the heart of Christ with a voice I would say speaking to people’s lives and inspiring spirits.” She describes her style of music. “I have slow ballads more like Afrobeats,” she says. When asked why she does gospel she says it is “because it speaks to lives, gives hope, life and saves.” She also says she deeply feels that doing gospel music is her purpose in the music industry. Matthew K plans on releasing an album with 6 songs. She does not find music conflicting with her study times. She records her music usually in holidays which she does a few times a week. Jackie Senyonjo, one of Uganda’s mainstream gospel artists is one of her inspirations in the music industry on top of many other artists. “I would definitely be super humbled if she featured in my song,” she says. She does not mind singing with a secular artist so long as her heart feels at peace with it and if she also has the conviction to do so. “My inspiration is Jesus and the Word itself gets me going,” she adds. 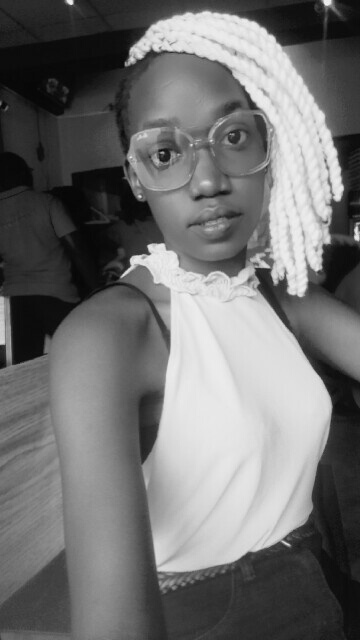 Matthew K’s music can be found on Howwe.biz, UG Ziki, Soundcloud and YouTube at Matthew K. She has the same username for her Facebook and Matthew K official on Instagram. One extra detail we could not let go unnoticed is that she has a high sense of humour and is down to earth. In such quick instances, she makes everyone around her happy.